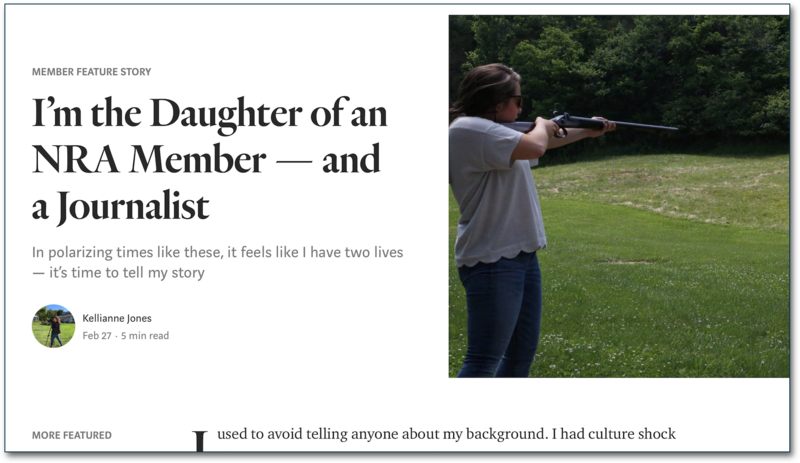 How does it feel to be a journalist from an NRA-supporting family? My father’s interest in guns began as a young man who saved up to buy 60 acres in the Maine wilderness where he could hunt, inspired by tales of Daniel Boone. When he had a family, guns morphed into a way to defend his wife and children in a town without a readily available police force. We always had an N.R.A. sticker on the back of our truck. I didn’t think much about it. being complicit to mass murder. N.R.A. members like my father are being called “evil,” “scared, paranoid, radicalized,” and equated with the KKK. Clearly, guns and shooting in the US are a tremendously emotive issue, especially at the moment. But it’s a timely reminder – especially to those of us who live outside the US and don’t really understand the culture about guns – that stereotyping is rarely a useful contribution to reporting.